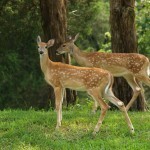 Here you can watch deer on live webcams located in back yards, zoos and other locations in the wilderness. Watch deer eating on cams that have streaming video and some have night vision so you can watch them 24 hours a day. The BuckeyeCam is located in Ohio and features several outdoor webcams that are activated whenever deer, turkey and other outdoor wildlife are photographed by their cams. I believe these cams are motion activated, but I’m not absolutely sure. Currently there are seven cams to choose from. Watch Deer and Wildlife on the Buckeye Cam. Hello to everyone from Germany! A reader informed me about this excellent wildlife web camera brought to you by looduskalender.ee. Currently the camera is featuring Red Deer. About a week ago I saw some wild boars…so who know’s what you’ll see next? This animal cam comes to you from Murrysville, Pennsylvania and gives you a live view of the wilderness where you may spot many types of outdoor wildlife native to the area. Animals spotted include Deer, Turkey, Raccoons, Squirrels, Foxes and more. This animal cam updates every five seconds and also includes archived images of animals caught on camera in the past. This animal cam comes to you from Hoge Veluwe, Netherlands and gives you a live view of animals outdoor in a national park located there. 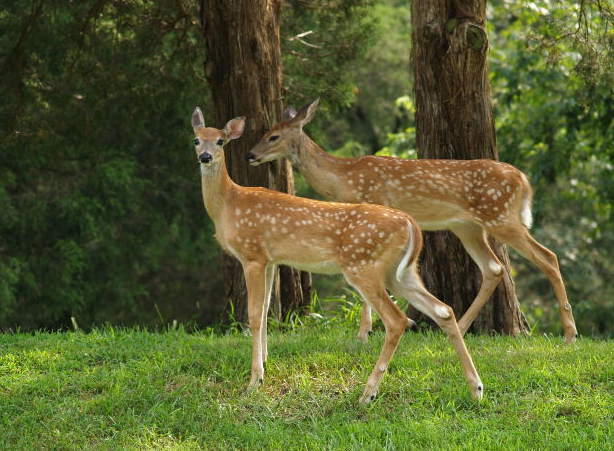 Animals you may see there include deer, foxes, wild pigs, various species of birds and more. This cam has live streaming video. This webcam is online during daylight hours in the Netherlands. Watch the outdoor wildlife cam in the Netherlands. This deer cam comes to you from Michigan and features a live view of a bird feeder via a PTZ cam that has pan, tilt and zoom. Besides birds, you may also see deer, squirrels, raccoons and perhaps even a bear. Web site also has photos from the webcam, news and more. Watch the extreme bird feeder webcam. This animal cam comes to you from Roaring Springs, Texas and provides six live webcams that you can watch deer on 24 hours a day. Sometimes you can also watch pigs on these cams in the wild. Includes free webcams and bonus member cams, too. Also take a look at their image gallery to see pictures of deer taken from the cams in the past. Be sure to take part in their forums as well. Watch the Texas deer cams.